I was born and raised in a small town in Germany. Growing up I always knew that fixing cars would be my passion. I remember being around 8 years old and trying to take my toy cars apart and figuring out how to put them back together again. 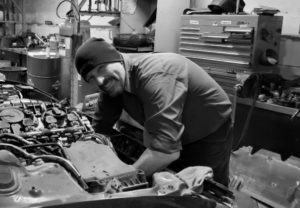 As I grew up, I started working on larger projects like the full rebuild of a 1998 Toyota Rav4 involving both body work and mechanical repairs. This furthered my passion to work in the automotive industry. 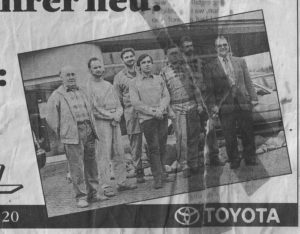 At the age of 16 I started my 4-year apprenticeship with Toyota. After completing my apprenticeship, I worked at Toyota for several years before deciding to go back to school to get my master’s diploma. 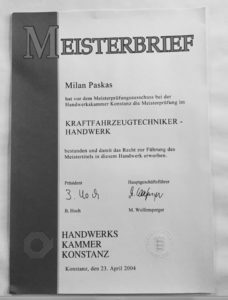 I spent 1 year back at school fulltime working on my master’s diploma in automotive repair before starting a career at an Audi & VW dealership in Germany. During that time, I met the love of my life, my wife Julia, who also worked in the automotive industry. After starting our family with our daughter Sofia (now 12), it became very clear that we would like to leave Germany and that owing our own repair shop would be our long-term goal. My wife and I started to look for opportunities to pursue our dream to live and work in Canada. Both of us happened to receive job offers from a repair shop in Alberta. We had agreed to meet with them at an international job fair in Bonn, Germany to discuss further steps. 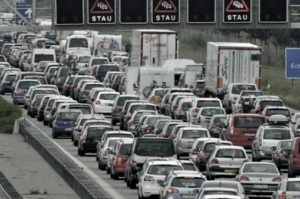 As life goes, the Albertans got stuck in the German traffic (in German “Stau”) and were late to the meeting. While we were waiting, we decided to look around and see what else the fair had to offer. That’s when we met the Frank Motors team. Frank Motors looked like a great place to work and a good fit for us. Before long we found ourselves signing an offer to come and work in Winnipeg. After a few months of adjusting to the climate, Winnipeg became our new home. We both enjoyed learning to get used to the new lifestyle together, meeting new friends and starting our careers in Canada. Not long after our family grew, and we welcomed our son Nikola (now 9). I have really enjoyed working at Frank Motors, getting to know the customers and helping to lead the team as the Head Technician, so when the opportunity came about to purchase Frank Motors, my wife and I knew that this would be the right step for us. Being a shop owner for a year now I can truly say that I enjoy every day with its challenges and positives experiences with our amazing team and great customers.